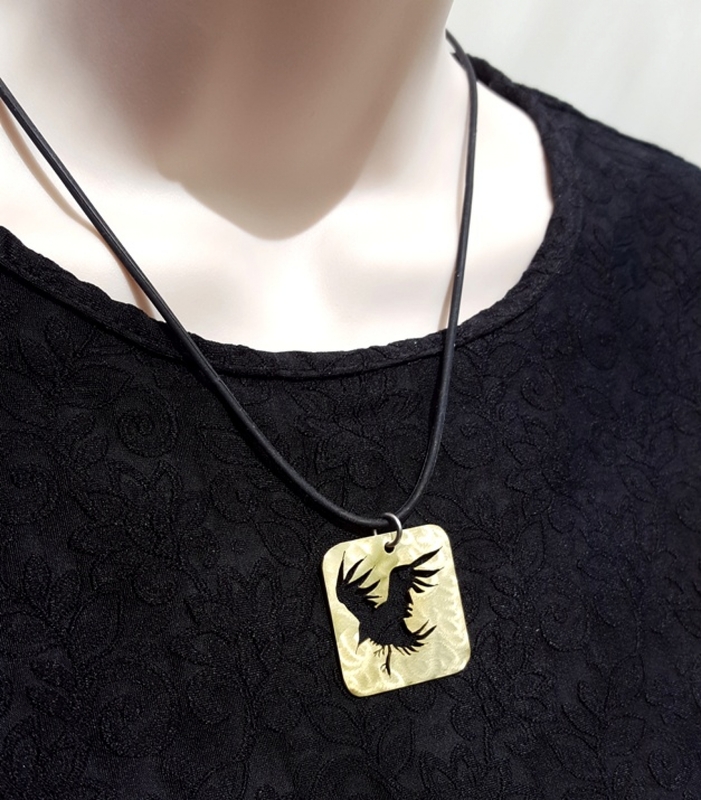 An elegant crow in flight wends his way across this polished bronze pendant (reversible). 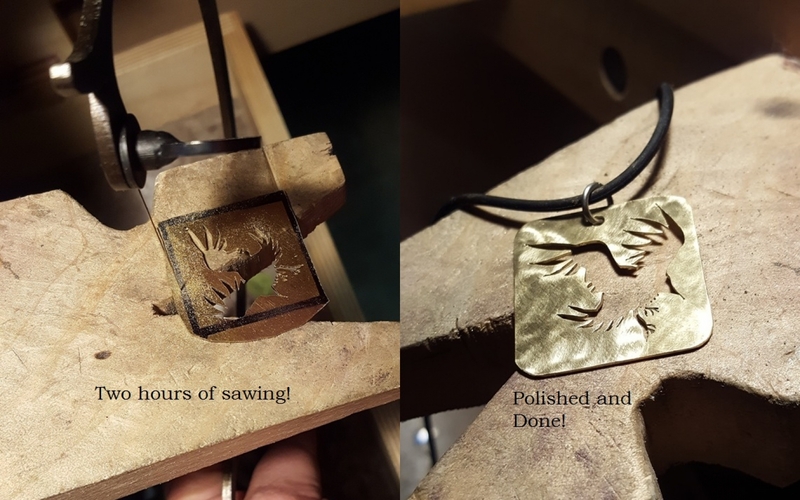 Two hours of careful sawing created this special handcrafted piece. The pendant measures about 1-1/2 inches with an 18-inch black necklace. 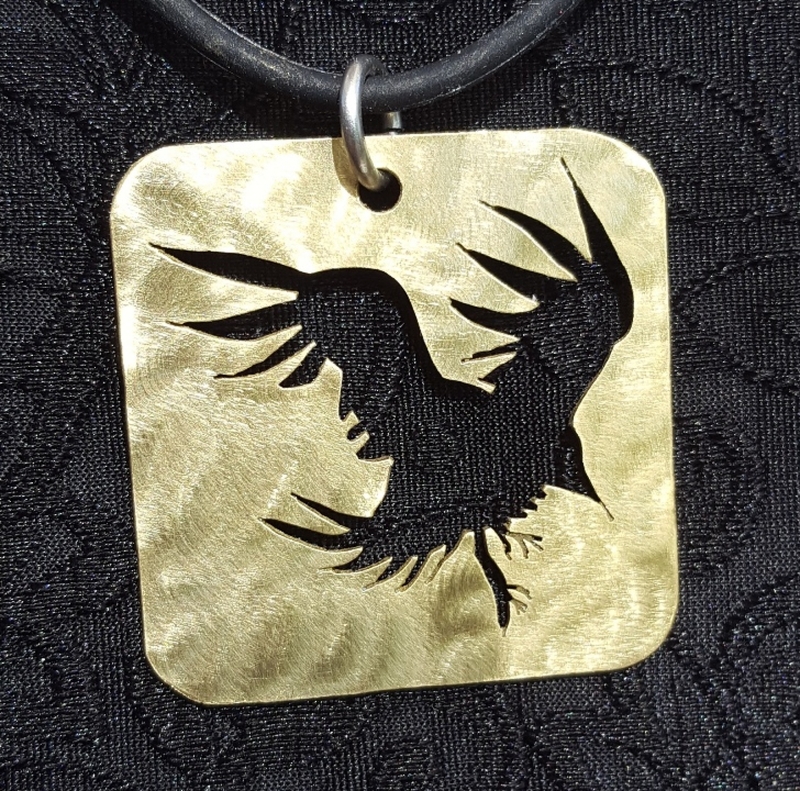 If the crow has chosen you as your spirit or totem animal, it supports you in developing the power of sight, transformation, and connection with life’s magic. A sign of luck, it is also associated with The Trickster--be aware of deceiving appearances. It will come in a gift box--ready to give as a gift or keep for yourself. I recommend that all wire-wrapped jewelry be stored in the gift box to protect it from getting entangled. If necessary, it can be cleaned by gently rubbing with a jewelry polishing cloth.